Eeeeee!! It’s my favorite time of the month!! It’s time for my BoxyCharm unboxing!! If you don’t know what BoxyCharm is, it is a month beauty subscription box that costs $21/mo. 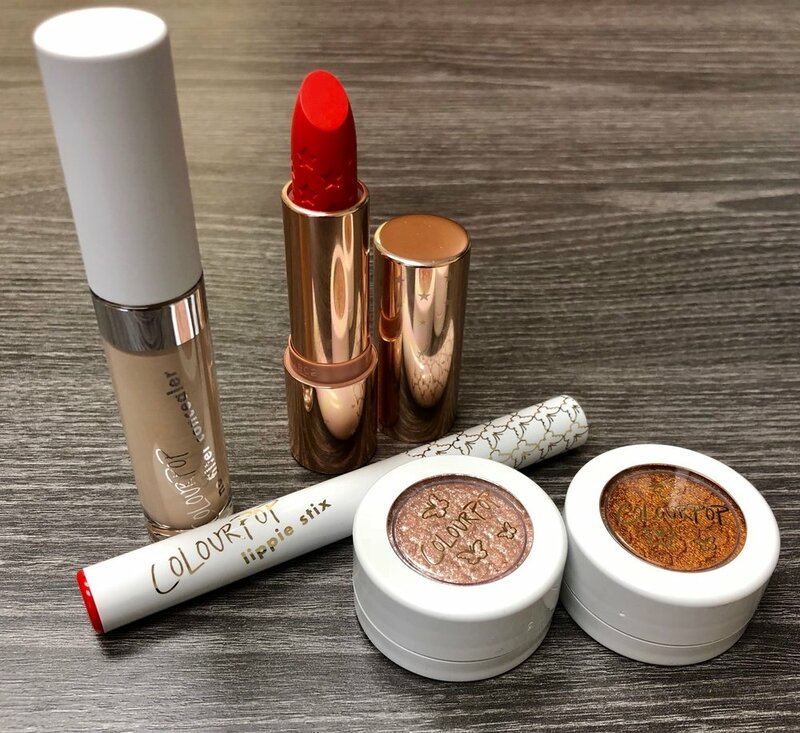 It comes with 5, FULL SIZED products, unlike those other subscriptions like Ipsy (which I also get) that come with occasionally a full size product, but are mostly travel or deluxe size samples. This box is THE BEST THING EVER!! Even when I was running low on funds, I found a way to continue to get this box! This is this month’s box. It just came in today! It also comes with a card that has the theme on it. This month is Galaxy Glow, which I thought was awesome! Let’s dive in to what I got! First off, I got 2 OFRA products. One is the Pop-Up Mini Palette that is magnetic and can hold any metal based product pans. It retails for $19.00. It also came with an OFRA blush in the shade Godet, which retails for $12.00. That right there already has paid for the box! See how amazing it is! Here’s a swatch of the blush. It’s a nice rich, creamy texture and has a beautiful color that would look good on any skin tone. 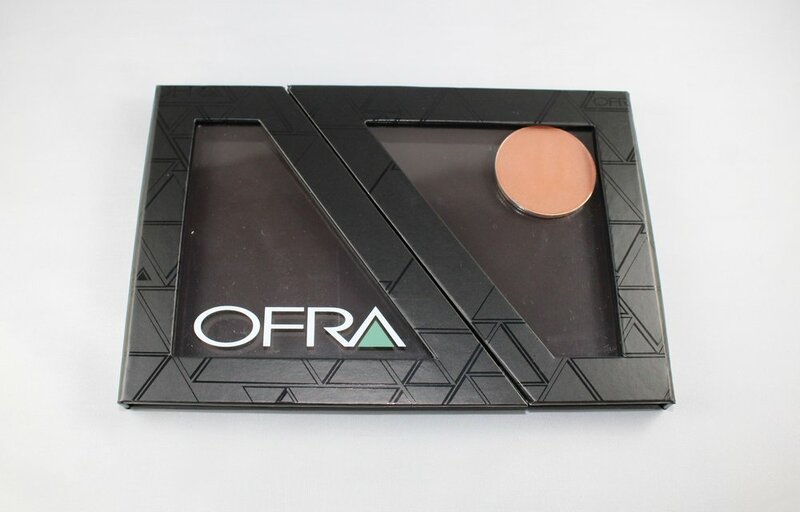 I love OFRA, but between the 2 larger items you could have gotten in the box (OFRA combo or NakedCosmetics Holographic Highlighter palette) I would have preferred the latter. It’s just so mesmerizing! Next, I got a black smokey eye pencil from Vintage Cosmetics. It has great pigment, but it is just a black eyeliner. I have a ton and don’t even use them that often. This retails for $21! I also got this CoverFX Shimmer Veil in Amethyst. CoverFX has some really cool and beautiful products, this is no different! This retails for $28. The picture/swatch doesn’t do it justice. It is a pinky hue with a bright purple shine to it! This looks stunning! I’ll be using this often! Next, I got the X-Faux Lips Plumping Lip Exfoliator from PUR Cosmetics. I did try this already and I must say, I actually like it!! I love using lip scrubs but they can be quite messy. This does the same thing, but it’s so much easier to apply! It also tastes yummy! This retails for $17. Last, but not least, I got a Crown Brush Set. It came with the 3 brushes shown below. (I forgot to take a photo of them by themselves! Oops) I got a Crown brush in my December box and I really do like them! I’m excited I got 3 more to use!! These retail for $29.99. All in all, I like my box this month, but it definitely wasn’t my favorite. Let me know if you want an in depth review on any of these products!! Hope you enjoyed this unboxing!